The appointment of the Constitutional Advisory Panel in August 2011 was another step in a longer and continuing conversation about how to govern the people, land and resources of Aotearoa New Zealand. - report to Ministers with advice on the constitutional topics, including any points of broad consensus where further work is recommended. Furthermore, the terms of reference gave the MÄori Co-chair specific responsibility to ensure that the Panel’s engagement process was inclusive of MÄori, in a manner that reflected the Treaty of Waitangi relationship and responded to MÄori consultation preferences. The Panel’s engagement strategy, delivered to Ministers in December 2011, acknowledged Ministers’ expectations that the Panel would hear the views of a diverse range of New Zealanders, including a range of MÄori. The Panel proposed a citizen-driven engagement process: to support people to engage with the Conversation in the way that best suited them and to be available to meet with people in their own spaces. The Panel proposed multiple ways for people to engage with the Conversation including face-to-face meetings in communities, on social media, in writing and through a website. The engagement strategy was approved in May 2012. Following approval the Panel started implementation including the design and build of a website and online tools; design and production of information tools and resources to support engagement; design of engagement events; and publicity and media. 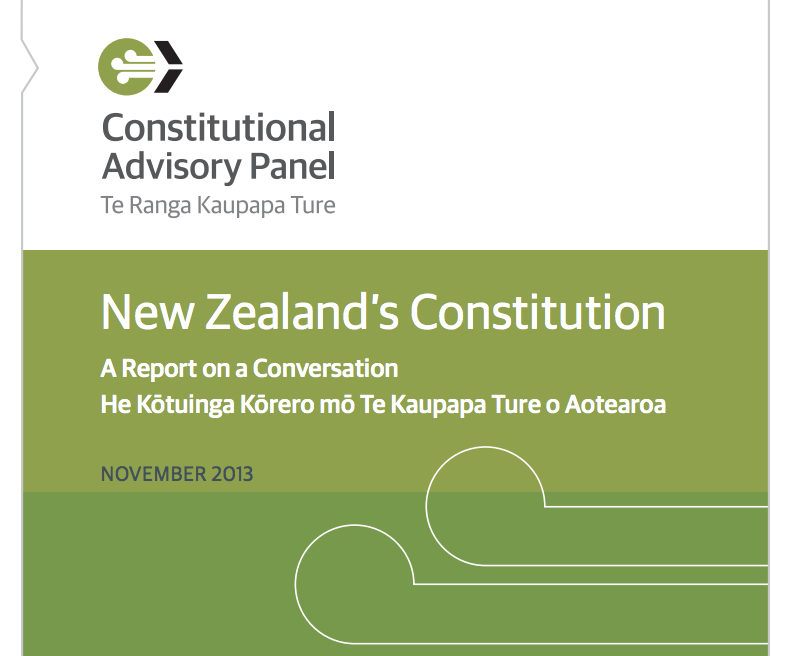 A summary booklet about the current constitutional arrangements, New Zealand’s Constitution: The conversation so far, was published in September 2012 and was made available to inform the conversations. As part of the development of the process the Panel met with a range of national bodies or organisations with large memberships that represented a range of geographic, demographic and ethnic diversities. These ‘early conversations’ established links into communities, and provided the Panel with advice about how best to engage specific communities.